One Direction love to dance the Zumba! If you’ve ever wondered how One Direction get so good at dancing, wonder no more! It turns out that One Direction are huge fans of ‘Zumba’! Zumba is a new kind of dancing that’s great exercise and really good for you! And apparently the 1D lads have been taking regular classes to help improve their dancing. We always had Niall down as a fan of ballet! As Zumba is really energetic, do you think we’ll see Harry Styles wack-out his first backflip soon? Let us know in the comment box below! 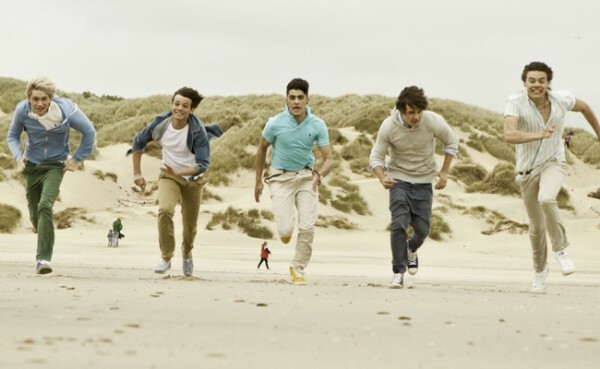 We’re big One Direction fans at Fun Kids too. We’re actually such big fans that we’ve made our own version of their ‘Kiss You’ video. Click here to find out more! We’re also playing loads of their tunes at the moment on DAB Digital Radio in London and online across the UK! Click here to listen! I loved this video because I love one direction. love you Harry !!!!!! !